It was a real novelty: In 2017 Smart and Mercedes booked us for the interior design of their event location. How did it happen? As often, luck played a major role. In summer 2017 an extraordinary art project took place in Berlin: Numerous artists were allowed to let off steam and creativity in an empty building in Berlin-Charlottenburg, which was soon to be destroyed. 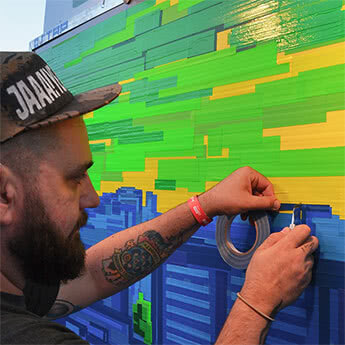 Me and my SELFMADECREW were also part of the project and tried to inspire visitors with our tape-installations. We succeeded in doing so and partners from Smart and Mercedes became aware of us – and asked the organizer of the Event “Xi-Design” and “Aussergewöhnlich Berlin” for support. Obviously, we were quite excited to work with such big brands! The task: to design and beautify the event location on the theme of Smart, Mercedes, and Berlin. 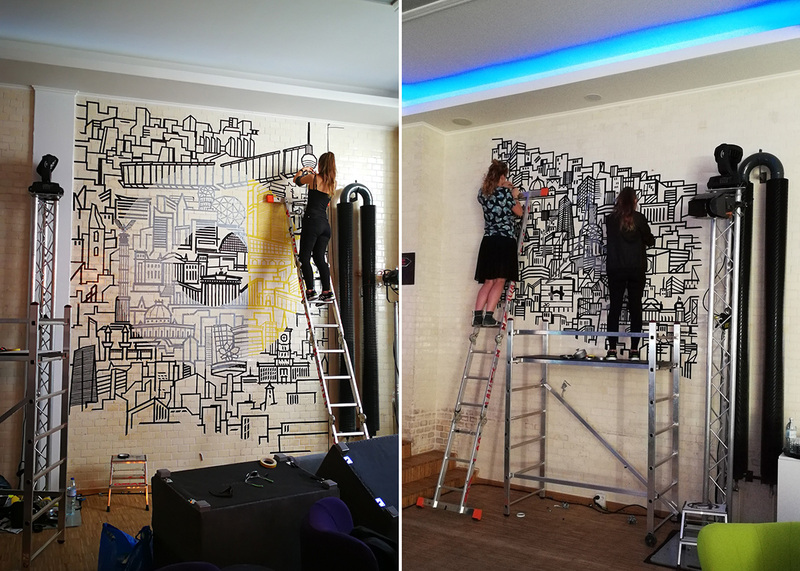 In order to achieve that, we created two adhesive tape murals of the Berlin skyline, almost merging together with the logos of Smart and Mercedes. It looked a bit like a hologram. How did we achieve this effect? With great attention to detail and by using only two colors of GAFFA adhesive tape: black and silver. 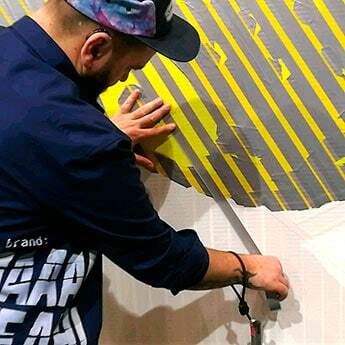 This event showed once again: Adhesive tape can be the optimal choice for any interior design and for every event. 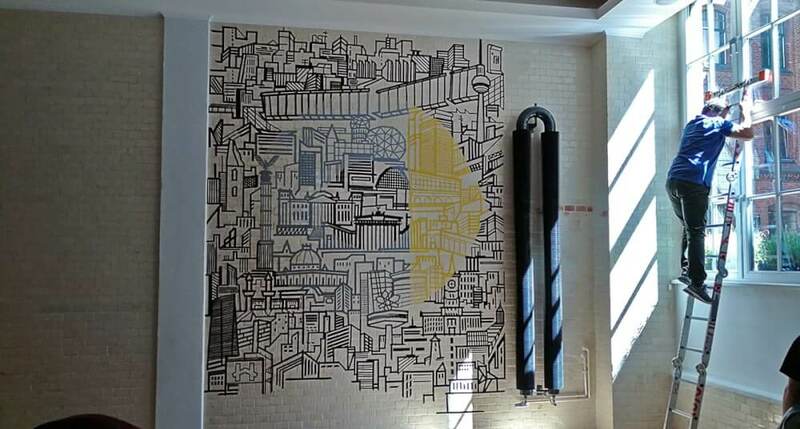 Tape Art not only beautifies every location, it can also be removed easily and completely free of residues. That’s pretty convenient! At the end of the event, we, the organizers and the audience were completely satisfied. The feedback was excellent and we had a lot of fun. Once again we would like to thank Smart, Mercedes, Aussergewöhnlich Berlin and Xi-Design for working with us! It was a real pleasure.